Successors to the nine steam engines owned by CSÉ; (the Irish Sugar Co.) for shunting the company's sugar factory sidings at Carlow, Mallow and Thurles, a number of small diesels were used for similar duties. This locomotive is one such. 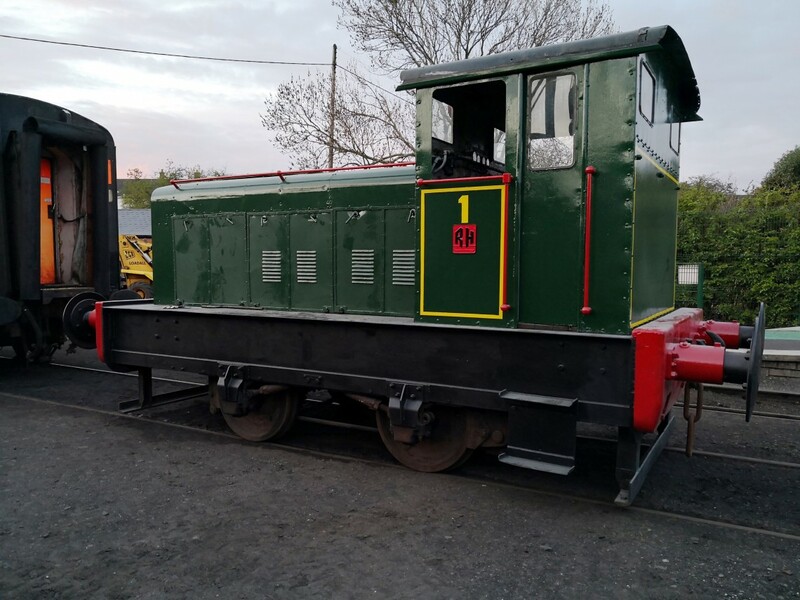 She was donated to the Society thanks to the efforts of Mrs Margaret Prendergast of Carlow, where this particular locomotive spent its working life. 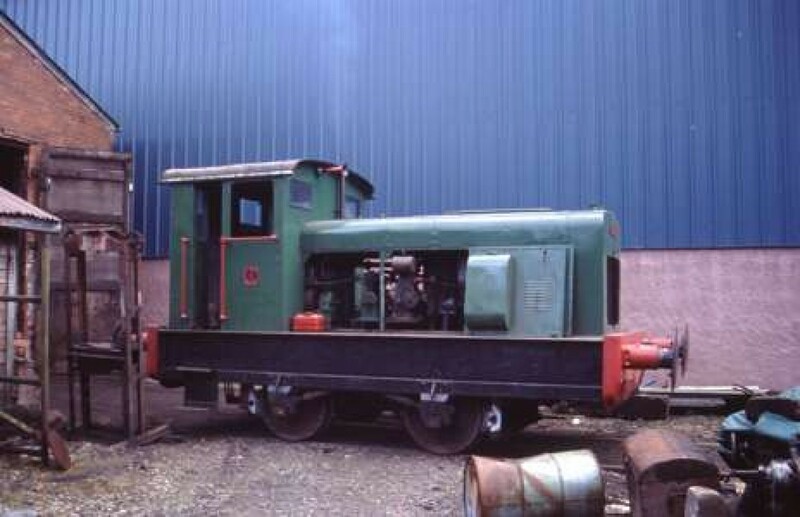 The locomotive came to Whitehead in 1981, and lay until restoration work started on a part-time basis in 1985. When the wheels were being re-profiled, a curious feature found was the pronounced groove on their treads. When examined it was found that no two wheels were of the same diameter and the discrepancy between the leading and trailing wheels was nearly one inch! How the loco worked at all was a mystery since full adhesion would have been impossible and the strain on the drive chains and gearbox must have been colossal. No less mysterious was one of the springs, in which the two halves of the broken bottom leaf did not match! 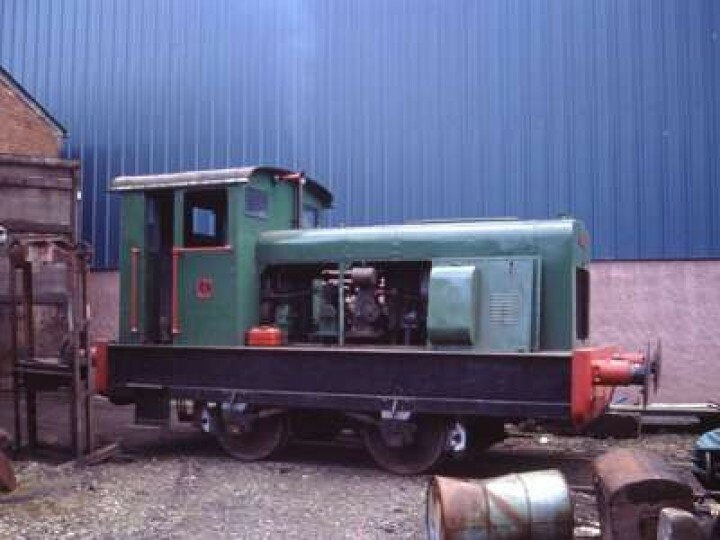 The main engine was sent for overhaul in 1988 to the Felden Government Training Centre (there is a separate 'donkey' engine to build up air to start the driving engine). The locomotive was first started in 1992 but from then until 2001 gearbox problems kept the locomotive from returning to traffic. However, for the next 10 years the locomotive was the mainstay of the shunting fleet at Whitehead. 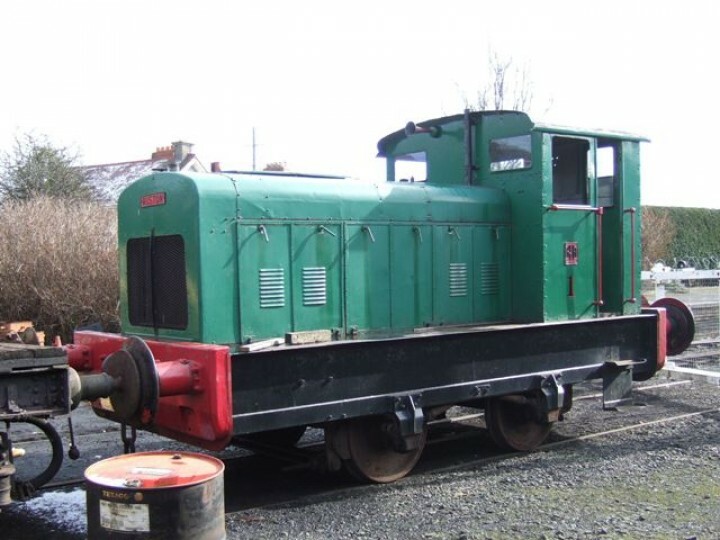 Numbered No.1 by the Railway Preservation Society of Ireland, the "Carlow diesel" remained a useful member of the running fleet until supplanted by B142. This forestalled the tentative plans to fit this locomotive with electric lights and a vacuum exhauster to allow it to shunt the running set of Mk2 carriages. On Saturday 28th April the locomotive left the confines of the carriage shed and returned to traffic after nearly 8 years in storage. 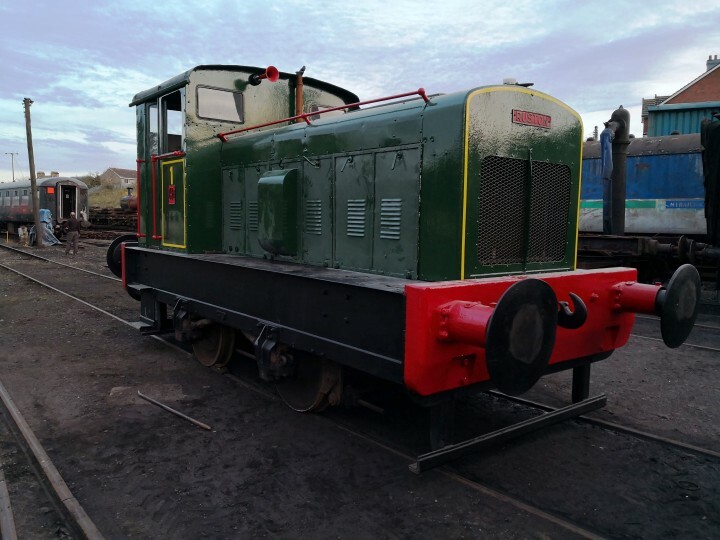 The locomotive has had a full repaint in its original Irish Sugar livery, and various mechanical repairs have also been carried out, hopefully meaning a return to reliable service for small shunts.